The analysis, presented to the U.N. Security Council last week by the Food and Agriculture Organization and the World Food Programme, highlighted areas in need of urgent food and livelihood assistance, including the Lake Chad Basin, Central African Republic, Democratic Republic of the Congo, Somalia, and South Sudan. It states that nearly 25 million people across these areas are food insecure, with more than 6 million people suffering at “emergency” or “catastrophe” levels. Countries such as South Sudan, DRC, and CAR saw a deteriorating food security situation at the end of 2018, while Somalia and the Lake Chad Basin saw improvement — however, all are expected to see negative trends during spring and fall this year. Peter Thomas, decision support adviser for the Famine Early Warning System Network, or FEWS NET, also warned about possible food shortages emerging in southern Africa following irregular rainfall. 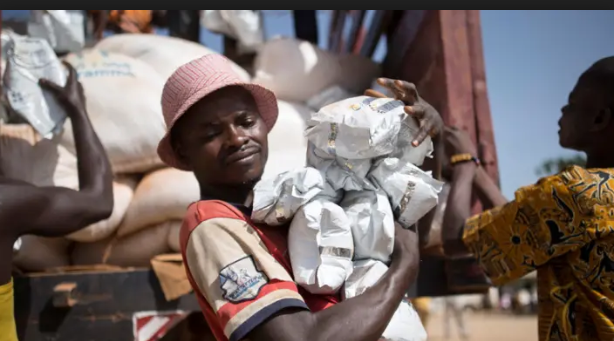 The FEWS NET 2019 needs assessment paints a grim global picture, estimating that 83 million people across 46 countries — largely in Africa — will require emergency food assistance, a 75 percent increase since the “zero hunger” Sustainable Development Goal was set in 2015. “Rainfall season in southern Africa spans from October to March every year, and the season which began four months ago has been below average,” Thomas told Devex. He added that low rainfall will likely continue for the rest of the season due to an expected El Niño. In other regions, Thomas said low rainfall at year’s end across the Horn of Africa had jeopardized the recovery progress initiated by rains early in the year and “will have some significant impact” on pastoral and agropastoral households in parts of Ethiopia, Somalia, Eritrea, and Djibouti. Protracted crises — leading to a lack of humanitarian access, food shortages, and high prices — are driving the severe level of food insecurity across many African countries. “There are currently three countries where a risk of famine continues, and in all three of those countries, conflict is a primary driver of food insecurity,” Thomas said, referencing South Sudan, Nigeria, and Yemen. The FAO/WFP report highlights an increasing number of conflicts globally, which are also lasting longer, exacerbating hunger crises. Similarly, in CAR, DRC, and Somalia, fighting among armed groups in some areas continues to impair food availability as rural populations flee farmland, reducing crop levels and raising the price of staples. At the same time, access issues including security threats and damaged infrastructure limit humanitarian assistance. Large displaced populations further strain the already scarce resources of host communities. Discussing the situation in Somalia, Nisar Cheema, a logistics specialist at the Norwegian Refugee Council who has supported FAO in the country, explained last month that “internet is unreliable and [phone] coverage is poor. Plus, due to security issues and infrastructure limitations, the command center of the operation is located in Kenya, adding another level of complexity." One country that remains at risk of famine is South Sudan, where armed conflict, widespread displacement, and poor economic conditions have conspired to create a serious food crisis. Humanitarians hope the recent peace deal between warring parties in South Sudan could become the foundation of restored stability in the country. The agreement, signed in September, allowed for the resumption of oil production in some areas, which strengthened the local currency and pushed down prices of staple foods. However, pockets of conflict persist, and the “lean season,” when harvests are low, is expected to start earlier than normal, pushing those who are likely to be in need of urgent support between January and March up to more than 5 million, the FAO-WFP report noted. World Vision country director Mesfin Loha told Devex that even though food availability for 1.6 million people is currently classified at “emergency” levels — just one ranking below the most severe category of famine — he looks forward to 2019 as “the year of great expectations.” With more stability in the country, if humanitarian assistance continues at current levels, “there is a possibility to avert famine and minimize the number of households that are in severe likelihood of famine,” Loha said. The 2019 humanitarian response plan for South Sudan requires $1.5 billion, though just $61 million has been provided so far, mostly by the governments of Germany, United Kingdom, Norway, and the Netherlands. Forty-three percent of the response plan is focused on food security and livelihood support. In December, Loha said World Vision South Sudan was able to resume operations in locations that had been shut down since May. Areas west of the capital have seen some return of stability, allowing a number of previously closed health facilities to reopen. Recent access to river transport should reduce the cost of delivering food and emergency supplies in 2019 and improve access to what has been one of WFP’s most expensive airdrop operations. “This year we hope that calmness will return in all places, access will be improved, significant portions of people will return to average day-to-day movement ... there is a lot of hope and optimism,” Loha told Devex.